A migrant and his children wait to hear whether their number is called to apply for asylum in the United States, at the border in Tijuana, Mexico. Asylum-seekers are offered "meager procedural protections," and the law prevents "meaningful" judicial review of whether the Department of Homeland Security applied the proper legal standards in rejecting an asylum claim, wrote Judge A. Wallace Tashima for the unanimous court. "We think it obvious that the constitutional minimum ... is not satisfied by such a scheme." The ruling could give thousands of asylum-seekers the right to seek review in the federal court system. 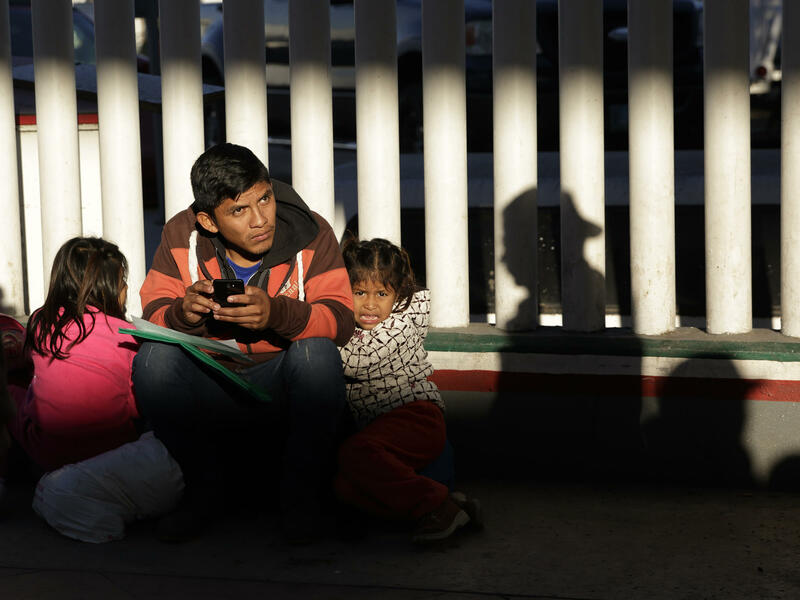 Legal analysts say the decision is likely to be appealed by the Trump administration, which has changed policies on the border to try to discourage asylum-seekers. "The historical and practical importance of this ruling cannot be overstated," said Lee Gelernt, deputy director of the American Civil Liberties Union's Immigrants' Rights project, who argued for the asylum-seekers. "This decision reaffirms the Constitution's foundational principle that individuals deprived of their liberty must have access to a federal court," Gelernt said, according to The Associated Press. The case centers on Vijayakumar Thuraissigiam, a Sri Lankan man who faced retribution after he supported a minority political candidate for office. Thuraissigiam says he was detained and beaten by Sri Lankan army officers, threatened with death, and lowered into a well, where he suffocated and lost consciousness. Thuraissigiam fled the country and, in early 2017, entered the country at the U.S.-Mexico border at San Ysidro. Picked up by U.S. Customs and Border Protection, he told an asylum officer he was afraid to go back to Sri Lanka. But the asylum officer determined his fear was not "credible," and an immigration judge agreed, sending the man back to DHS for removal. Normally, that's where an asylum-seeker's legal journey would end. But the 9th Circuit ruled that the "Suspension Clause" in the U.S. Constitution gives people like Thuraissigiam broad power to seek habeas corpus review by the courts. A 2008 Supreme Court case established that people must have a "meaningful opportunity" to demonstrate that the law was being applied erroneously. The law passed by Congress "does not provide that meaningful opportunity," and therefore violates the constitution, the court said. In his appeal, Thuraissigiam said that the asylum officer didn't ask questions that would reveal the extent of his fear, and also that there were "communication problems" between the officer, Thuraissigiam and the translator. Thuraissigiam's case will now go back to a lower court for further deliberation. "This is a historic decision," Stephen Yale-Loehr, an immigration scholar at Cornell Law School, told The New York Times. "But the government will surely appeal this to the Supreme Court." "The decision could have major implications for migrants who are seeking asylum," said NPR's Joel Rose. "It could also further clog an immigration court system that already has a massive backlog."